DAVENPORT, Iowa (April 4) – A rich weekend kicks off the Deery Brothers Summer Series’ history-making 33rd season. Opening night takes the IMCA Late Model tour to Davenport Speedway for the $5,000 to win Rebel 5K next Friday, April 12. 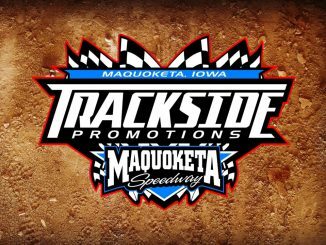 Completing the tripleheader slate are $2,500 to win events Saturday, April 13 at Maquoketa Speedway and Sunday, April 14 at Dubuque Speedway. The Deery Brothers Automotive Group begins its 28th consecutive year as title sponsor of the series. 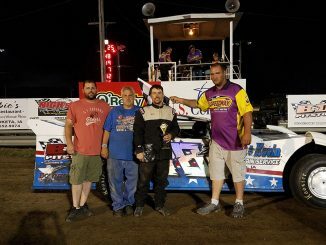 Justin Kay of Wheatland is the three-time and defending Deery Series champion while iron man Darrel DeFrance of Marshalltown has competed at all 490 events held through the tour’s first 32 seasons. Davenport had hosted the 2018 Deery finale. Pit gates will open at 4 p.m. and the grandstand will open at 5 p.m. Hot laps are at 6:30 p.m. with racing on the half-mile oval to follow. More information is available from promoter Bob Wagener at 563 340-4079. Complementing the Late Models at Maquoketa’s Hershel Roberts/Ray Guss Sr. Memorial are IMCA Modifieds, IMCA Sunoco Stock Cars, IMCA Sunoco Hobby Stocks and Karl Kustoms Northern SportMods, running for IMCA Speedway Motors Weekly Racing National, regional, E3 Spark Plugs State and track points. Pit gates and the grandstand open at 3:30 p.m. Hot laps are at 5:15 p.m. with racing to follow. The Sunday show at Dubuque also boasts sanctioned Modifieds, Stock Cars, Hobby Stocks and Northern SportMods in action for national, regional, state and track points. Pit gates and the grandstand open at 2:30 p.m. and 4:30 p.m. hot laps precede racing. Spectator admission at Maquoketa and at Dubuque is $20 for adults, $18 for seniors and students and free for ages 12 and under. Pit passes will be $30. All series features pay a minimum of $300 to start. The Deery Series is at Cedar County Raceway in Tipton on Saturday, April 20 and at Independence Motor Speedway on Saturday, April 27.